All top flight clubs will take part in the new division, with SFL clubs also invited to apply for a place. The Scottish Premier League will introduce a new Under-20 league in time for the start of next season. Member clubs of the SPL voted unanimously to create the competition in time for 2012/13 at a meeting on Thursday. Every team in the league will participate. 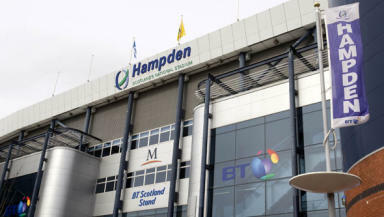 Clubs from the Scottish Football League may also be allowed to take part, subject to the approval of the SPL board. Neil Doncaster, SPL Chief Executive, said: "Providing the right platform for developing young Scottish players is vital for the whole of Scottish football and I am delighted to announce the introduction of an Under 20 League from next season. "Working in conjunction with the Scottish FA, I would hope this goes someway to reducing the development gap between the current Under 19 League and the Clydesdale Bank Premier League to better equip young players for the demands of first team football and aiding the development of more and better young Scottish players for the Scotland national team." Mark Wotte, Scottish FA Performance Director: "I am delighted at the decision of the SPL clubs today to approve the introduction of the Under-20 League. "This is a fundamental part of the Scottish FA’s Performance Strategy and it will be vital in bridging the gap between the current under-19s and the first-team squads. "I am hugely encouraged by the positive discussions that have taken place between the SPL and the Scottish FA and, in particular, the support of the clubs’ Heads of Youth and chairmen during the period of consultation." Stewart Regan, Scottish FA Chief Executive: "Today’s decision is a major step forward in the football bodies working together in the best interests of the game. "Mark Wotte has identified the Under-20 League as a key driver of the Performance Strategy and I am delighted the clubs share his vision."